← School dress codes: Is it time they went the way of the dinosaur? 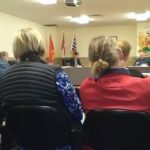 At the Monday, September 11 Regular Council meeting, Council narrowly supported the installation of a Freedom Mobile Telecommunication Tower at 2614 Otter Point Road.Three Councillors voted to issue a letter of concurrence, three were opposed, and the mayor cast the deciding vote, ultimately supporting the motion. With the audience chamber unusually packed, this meeting saw over 40 members of the public in attendance (normally there are two or three). Not all were here for this matter: there were a number of rezoning hearings also happening that day. But as expected, a number of the public did get up and address the issue. Also as expected, each and every resident who spoke was against the cell tower; two non-residents spoke in favour of the project, both affiliated with the project. In favour: Public input began and ended with the project proponents, two of them. They emphasized affordability and expanded consumer options, and stated that emissions were well within Health Canada guidelines (a thousand times below the regulated standard). The landscape of Sooke provided challenges with the location of the tower, and this was the most feasible option. Because Freedom operates on a higher frequency, the towers have to be closer to the people they service. Ultimately, it was good for the greater community. Opposed: Between the two Freedom Mobile were statements from six residents from the affected area. There were concerns about health and property values. One person observed that Freedom Mobility never once consulted the neighbours. Others noted that current cell reception was just fine. Two called for a bylaw change to better protect residents from having something this close to their homes. Collectively, they didn’t object to the cell tower per se (as one noted, they are not Neanderthals and they are indeed plugged in); mostly they opposed the placement in such close proximity to the homes. Most notable, perhaps, was that they stated all (except one) of the residents were united in their opposition to the installation of the tower. 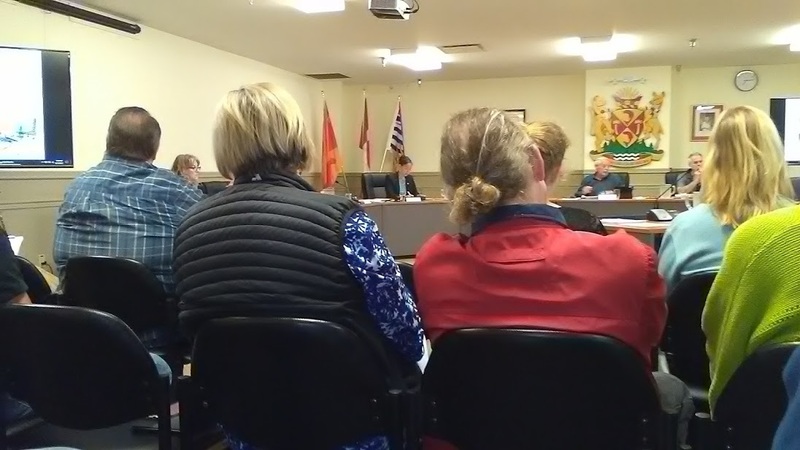 In Favour: Councillors Rick Kasper, Kerrie Reay and Bev Berger supported a letter of concurrence from the District of Sooke. Kasper noted that council cannot stop a tower from being installed. “Our lawyers have said it,” he said, adding that he is not a scientist, so he cannot stand against the standards set by Health Canada. He sympathized with people’s views, but he won’t subscribe to alarmist statements. These towers have become a sad reality, but it’s what the overall public has been demanding. Reay said she already spoke at length at a previous meeting on this matter. She comes from an evidence based background and there was nothing in official documentation to support health concerns. She will be supporting the motion. Berger said she has done a lot of research on the matter. She supported Health Canada’s statements and findings, and because she’s not a scientist she felt she couldn’t argue that. She had to trust that the government is representing the interest of the people. Opposed: Councillors Ebony Logins, Kevin Pearson and Brenda Parkinson opposed the motion. Logins didn’t like hearing the argument that they don’t have a voice as a council. They have a voice, she argued, whether they are listened to or not. Logins felt there was no moral way that council unanimously support this. The community had spoken, and those who spoke were opposed. Ultimately, she pooh-poohed the motion that Council cannot argue with the Federal government. That’s our job, she said wrapping up. Pearson cautioned against mixing emotion with decision making, saying that that mix all-too-often results in poor decisions. How far do we trust, he asked, and when do we question? The neighbours have said they don’t want it, and he wants to listen to the neighbours. He does trust other levels of government, but ultimately he opted not to support concurrence. Parkinson said they are here to support the people. She doesn’t understand why they have to give concurrence for something over which they have no influence anyway. Mayor Tait noted that Freedom Mobility is a new provider, and Freedom was looking to install cell towers to provide a competitive option. In some ways we have a voice, she said, and this is why we are here. Freedom Mobile may or may not progress, even if they don’t receive concurrence from Council. We are in a digital, wireless, mobile age, Tait continued, and we want our technology to work. This is a business that is looking to provide a reliable and competitive alternative. We can’t stop technology. Metchosin has a zero growth philosophy (Tait was responding to an earlier comment that Metchosin only had three cell towers and were not allowing any more). We’re at 13,000 and growing, she noted, with the expectation to double in number over the next twenty years. Our topography is challenging here. We’re sloped and hilly. “It’s a tough call,” she said, adding, “We do have a voice when it comes to federal matters.” Whether they listen was beyond her influence. Mayor voted in favour. The motion carried. Freedom Mobility is owned by Shaw Communications and according to this article on Wikipedia, it is Canada’s fourth-largest mobile operator. It was previously known as Wind Mobile, and after it was purchased by Shaw Communication in March of 2016, it was rebranded as Freedom Mobility. Corresondence re 2614 Otter Pt. Rd. Since you’re here, we have a small favour to ask. At 1.7 million page views over the past year, more people than ever are reading SPN. We had hoped advertising local services and events would sustain this service, but that has not come to pass. Advertising revenues are falling; status quo is unsustainable. Readers, please consider a small monthly donation. This can help secure the future of SPN. Business owners: Please consider an ad. More than massive local exposure, you will also be affiliated with an independent business that is 100% local, 99% paperless, and highly valued by the 98%. That’s priceless. Or, you set the amount, one-time contribution. This is not a new issue/debate….but as said a few years back by a town councillor, Everyone has a cel phone in their pocket, but nobody wants the tower that supports it in their neighborhood…..
Sad…with so many against it and the same council members that always stick together…the Mayor should not have the deciding vote…the next election can not come soon enough! You should run for mayor or council. You seem to have an opinion on pretty much everything. Get in the ring! Because it makes more sense to have a stalemate and no decisions made at all? The Mayor is elected just like the Councillors… makes sense she gets to vote in the event of a tie… not to mention it’s the law. I understand that but those 4 stick together on all the votes…even when so many town folk go out of their way to voice their opinions…but that means nothing to them…well I hope all 12 freedom mobile users have better service now. I am very informed and they are not half…We have good choices already in Sooke and having one tower will not provide the needed coverage for anyone to change providers…Thats the point! And if you are so “informed” what monopoly are you talking about? The monopoly of the big 3 cell phone companies. Bell, Rogers and Telus. Different companies, but all seem to offer the exact same plans and prices, so effectively no competition. Freedom is a new player, and you are right… one tower isn’t enough, here’s hoping they put up many more in the area to encourage proper competition. Virgin, Wind, and others…Lets put the tower in your back yard! Sooke isn’t small anymore. I’ve been here since ’89 and get a laugh out of people who’ve only been here a couple of years wanting to keep it small. When I moved here…Home Hardware wasn’t here…a small mom and pop hardware store…lost out to big franshise. One supermarket (Village, where Western is). Seaside Pharmacy (family owned) later lost out to Shoppers. One traffic light. No street lights. Quiet. Half the traffic. Chevron site was a small park. A couple of family run restaurants (Schooners and Mom’s Cafe). RCMP were stationed in a house on the corner of Drennan and Sooke roads. Fire Dept was 2 bay building where Royal bank now is. No Steeplechase or Sun River. Church Road was all farms. Now 3 traffic lights, crazy traffic, fast food franshises. Small is gone. Sooke has become what Langford was 25 years ago. Reg Todd Where is the third traffic light? I got Church and West Coast Road. Can’t think of the third. When I moved to Sooke the one at Otter Point had just been installed. Then Phillips Rd when Sun River was built. Reg Todd It was Seaview Pharmacy, and the park where Chevron is was actually built by Chevron, they owned the land years before they built the gas station. Home Hardware was around in the early 80’s, it was in the building by the lights with the various galleries now. I actually worked weekend graveyard at Payless in ’91/92, and my daughter worked there just before it closed and was torn down. I think the thing I miss the most is Schooners. It was a great restaurant. One of those famly run places where everyone knew everyone. Great news! Sooke needs to improve its infrastructure if it expects to continue moving forward in the 21st century. I would click like many times if I could. 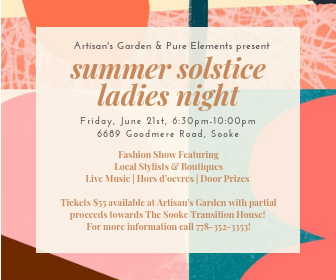 I am a Sooke Resident, have been since 2009 after a long career that took me off the island and around the world. Happy to be back, and happy to report I 100% support as does my household and all my friends, the cell tower addition in Sooke. We couldn’t be at the meeting yesterday as we are generally busy people with jobs. We feel the vast majority of Sooke Residents want increased communications abilities here. We also want more jobs, more businesses and more modern conveniences. Hello Timmies, are you opening a drive thru yet? Thank you Madam Mayor for breaking the tie in favour of sane people. Bothered and Hot on Grant.